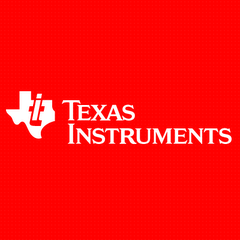 Texas Instruments (TI) (NASDAQ: TXN) invites developers to use its RF430FRL15xH NFC sensor transponder to create wearable health and fitness applications by entering the ultimate NFC wearable design challenge. Beginning June 9, 2015, developers can log on to the TI E2E™ Launch Your Design Portal and submit product and design ideas that utilize TI’s fully programmable NFC sensor transponder. Ten developers that share their design concepts by July 17, 2015 will be chosen by a panel of judges to receive the tools they need to begin developing their designs. Developers will then have two months to complete their designs and submit the final products to TI. These ten projects will be assessed by a panel of judges and one grand prize winner will receive a Sony® SW3 SmartWatch 3 SWR50. A description of the proposed NFC wearable design concept and the problem(s) it addresses. A description of how the product works and resolves the above problem statement. A block diagram of the system with the key components highlighted and identified. A description of why the approach is relatively unique. Winners will be chosen by a panel of three judges including representatives from TI as well as well as Holly Lawrence, marketing and social media manager for Digilent Inc. Winning entries will be based on criteria such as product/solution uniqueness, contemporary (“coolness”) factor and overall TI semiconductor usage. You can learn more by viewing the official rules. Beginning with the foundation of leading process technology and adding unique system architecture, intellectual property and real-world system expertise, TI continues its 20+ years of MCU innovation with low-power and performance MCUs. With unique products for ultra-low power, low-power performance and security communications, to real-time control, control and automation, and safety, designers can accelerate time to market with TI’s ecosystem of tools, software, wireless connectivity solutions, extensive Design Network offerings and technical support.